The most difficult part about staying sober is dealing with the physical and psychological forms of your drug dependence. 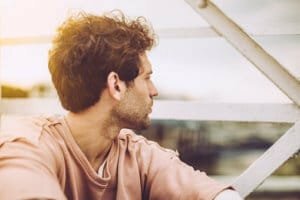 Drug and alcohol dependence is the primary reason why relapse rates may seem high, but there’s a reason for this. When you’re not getting the professional help that you need for your dependence, your chances of relapse are higher. Here at 1st Step Behavioral Health, we’re going to help you gradually eliminate your dependence to give you a better chance at recovery. Your body evolves to help you live as healthy and happy as possible, and it does this by maintaining balance. Much like how your body naturally fights off an illness, it’s always trying to get back to homeostasis. The physical drug dependence happens by drugs entering the system in excess on a regular basis. These chemicals drastically alter your body’s equilibrium, so the drugs become the new normal for your body. When the drugs begin to leave your system due to your metabolism, the body doesn’t know what to do without the drugs. This causes a wide range of physical symptoms of withdrawal that you may have experienced before. This is happening because your organs – like your heart, brain, liver, and kidneys – don’t know what to do. A major part of the problem is that neurotransmitters in the brain are misfiring and sending erratic signals to the rest of the body. 1st Step Behavioral Health is primarily going to focus on the psychological dependence once you go through the detox process. The psychological dependence is the hardest aspect to overcome because drug use is deep-seated into your mind. We survive using context-dependent memory, which tells us how to handle different triggers in our life. The longer that you’ve been using drugs means the more triggers you’ve developed and the stronger these habits are. The list for triggers can go on and on, but these are all different situations that produce the craving to get high. The important thing to understand about recovery from addiction is that your psychological drug dependence doesn’t just disappear. All of these triggers are still going to be there once you come to treatment and get sober. The difference is that we’re going to be here with you to teach you how to deal with these triggers in a healthy way. Here at 1st Step Behavioral Health, we treat people with co-occurring disorders, meaning they suffer from a mental illness as well. Some of the strongest triggers may be coming from symptoms of anxiety, depression, ADHD, or other forms of mental illness. These different symptoms of mental illness must be treated along with your addiction so you can learn to manage them. By being able to decrease and manage your symptoms of mental illness, your chances of long-term recovery become much better. 1st Step Behavioral Health is located in Pompano Beach, Florida, and we offer multiple levels of care to help you get well. We know that your length of stay will increase your chances of staying sober, so we offer a long-term recovery program. In our program, you’ll have a variety of different treatments that include family, individual, and group therapy as well as life skills programming. You can find out more about how we can help you overcome your addiction by calling us today at 866-319-6123.